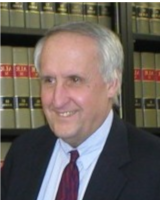 Attorney James T. Cooper has practiced law in West Virginia since 1970. For the past 15 years, he has primarily focused on family law, but he has also practiced significantly in the areas of criminal law, personal injury law and tax law for the state tax department. James T. Cooper spent two years as a company commander in Vietnam from 1967 to 1969 and was awarded a Bronze Star and Army Commendation medal in 1968. Married to Katherine S. Cooper (a school teacher in Kanawha County) since 1969; daughter Katherine D. Cooper (a pharmaceutical representative). If you are considering divorce, concerned about modification or enforcement of an existing divorce decree, seeking rights in regards to your grandchildren or are interested in any other family law issue in West Virginia, you have come to the right place. Attorney James T. Cooper has the experience and skill to understand what your goals are and what can be done within the legal system to achieve them. When you contact us, you can do so with confidence that you will get personal treatment from a family lawyer who will be focused on making you feel comfortable and satisfying your legal needs. Our practice focuses on helping individuals and families through some of the most difficult family legal problems they will ever be confronted with. We handle divorce issues, such as property division, child custody, visitation and Parenting Plans. We also address sensitive parenting issues, such as child support and modification of existing orders. As a full-service family law firm, we are also capable of assisting clients with concerns related to grandparents’ rights and adoption. While our practice focuses primarily on family law representation, we also have the experience and skill to effectively serve our clients’ interests in real estate transactions, wills and estate planning, small-business formation and personal injury. This focus allows us provide the services our clients need so they know they have an attorney to rely on when they have a legal concern. Attorney James T. Cooper has been practicing law in West Virginia since 1970 and has operated as a sole practitioner for much of that time. Unlike a big, impersonal law firm, a small practice like ours can focus on each client’s individual needs. If you have a legal concern involving divorce, the division of property or other family law matter, we can help. Contact us at our convenient location in Charleston, West Virginia, and get an experienced, skilled attorney working on a resolution to your issue.